If you need a little more pom-pom pizazz in your holiday decor and have a whole five minutes to spare, you can make this wreath! 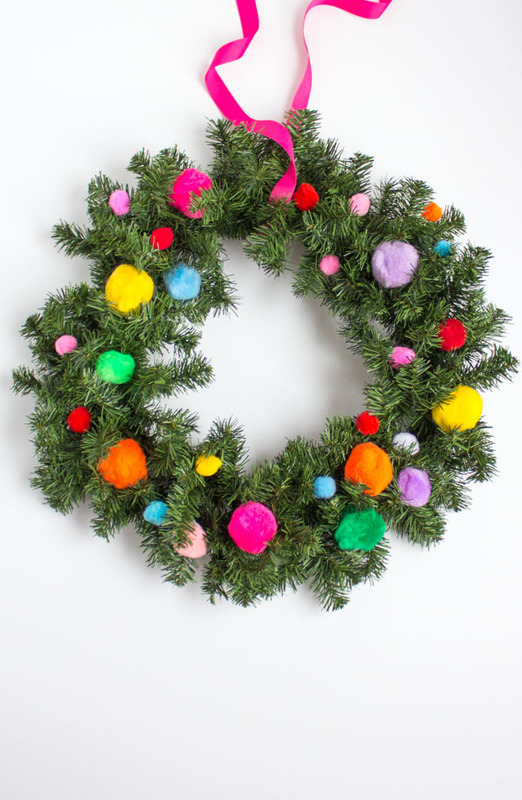 The pom-poms are like colorful little ornaments in the wreath. 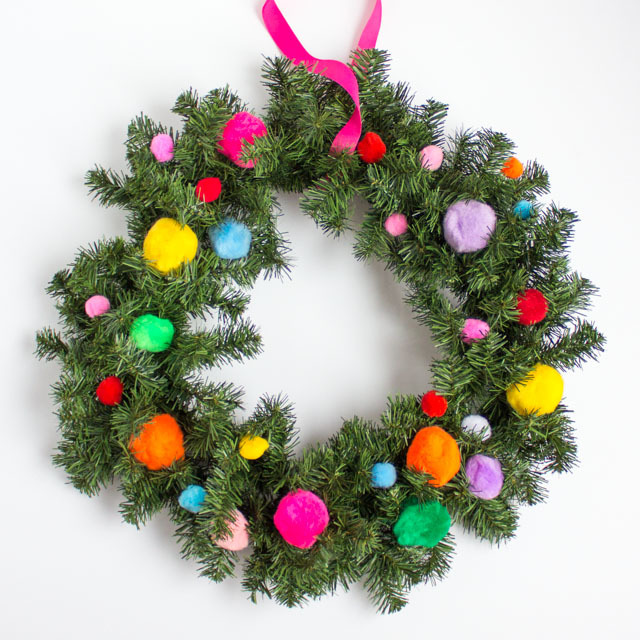 I used a mix of sizes and colors of pom-poms from this 1 lb. bag of pom-poms from Oriental Trading (a must-have craft supply!). 1. 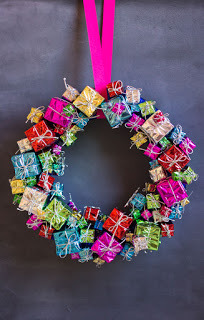 This project is so easy it barely needs a tutorial! 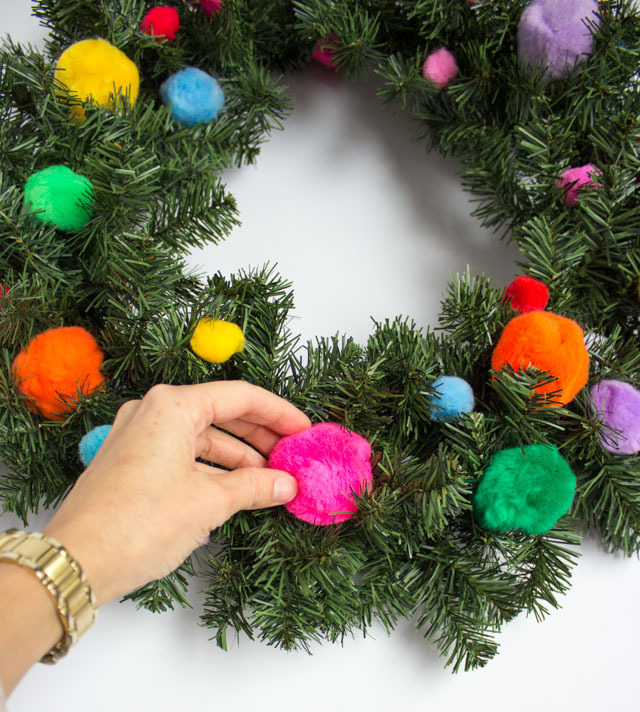 First fluff up the wreath by spreading out all the individual branches, then just nestle the pom-poms in branches. That’s it! 2. 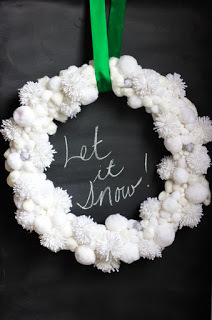 The branches hold the pom-poms on their own, but you can add a dab of hot glue for a more permanent hold if you want. 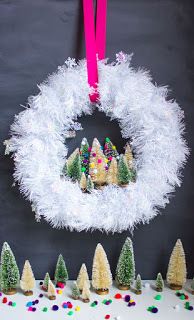 I like the option of taking them out at the end of the season and decorating the wreaths differently next year if I want. 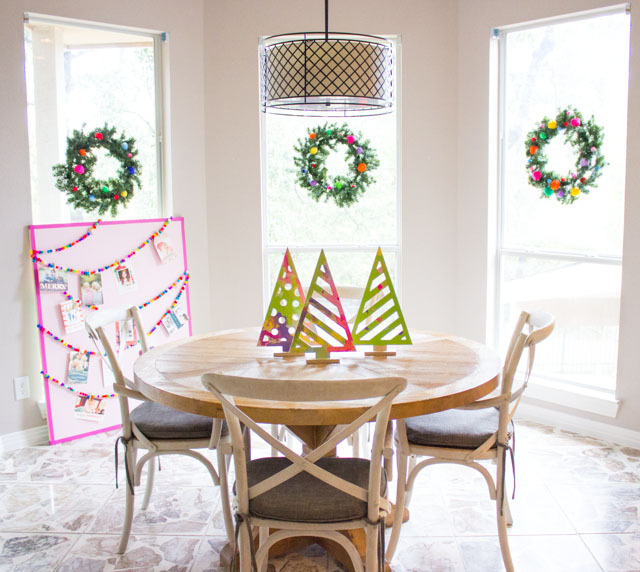 The set of three pom-pom wreaths look so cheerful hung in my kitchen windows!